Cast: Ricky Gervais, Doc Brown. Although I class myself as a Ricky Gervais fan, there’s a lot of stuff of his which I don’t like. That said, Brent is my favourite character he’s done. This film crew follows Brent’s attempt to do a few self funded gigs which he refers to as a tour, but his reluctant band mates see as just any excuse to play. 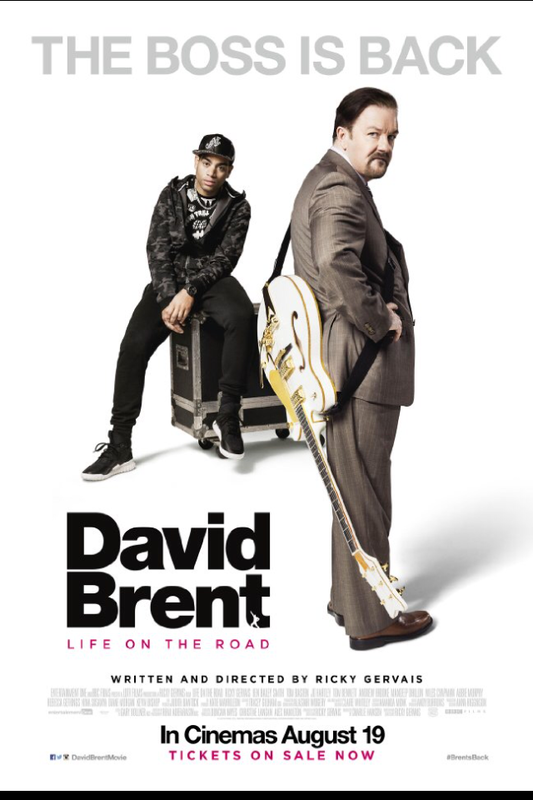 The movie follows Brent which highlights his questionable lyrics, irritating persona to be around and blind faith that he’s going to get signed. At first I thought the setting of him being in an office of reps surrounded by carbon copies of Lucy the secretary, Gareth the sycophant and a watered down bunch of the other stars of The Office was a misstep. But by the end I somewhat preferred that to seeing him die on stage so many times. Even that gripe has to be ruled out though as this is about his musical endeavours. So is it funny? I laughed consistently and feel this is as good as the recent Alan Partridge movie. You may not. The use of Doc Brown as his part time rapper who has more talent in his baseball cap was a good move as it breaks up the threat of too much Brent. I enjoyed this through the squirming embarrassment and awkwardness that David Brent brings. The emotional journey is bang on as you want him to succeed and feel deflated when he’s down and elated when he gets good news. A really sweet, funny film which celebrates the idiot who want better things regardless of being low on talent. Nancy, played by Blake Lively finds the perfect beach to surf with its picturesque white sands and it’s clear waters. Oh and it’s shark. Stranded 200 yards from the shore, Nancy and the shark play cat and mouse together their own way. At a cool 80 minutes or so this little action horror manages to keep things fresh when there’s limited ways for things to play out. I would say it rides the line of movie shark rather than real shark as the fight draws to its crescendo. Until that point though, I felt myself pulling my legs close to my chair as I rooted for the plight of Nancy. 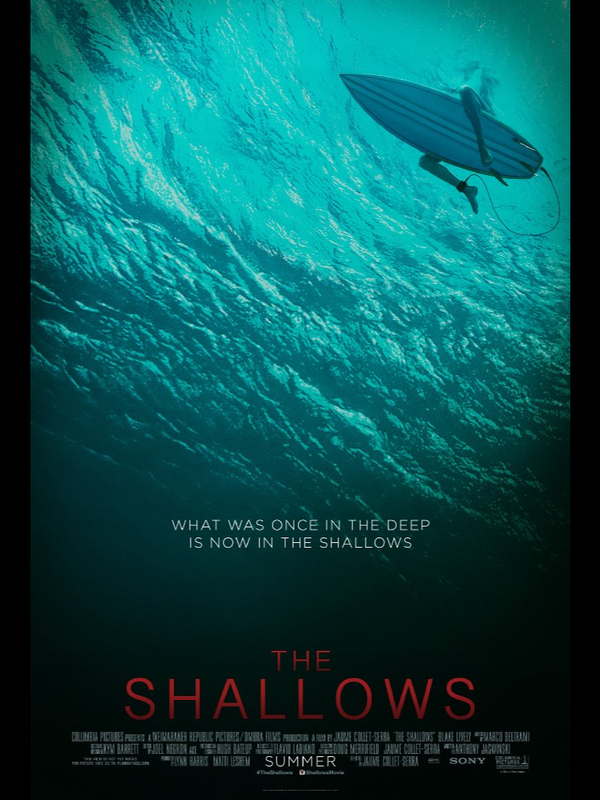 There’s been a handful of shark water movies since Spielberg made his classic in the late 70’s but this one feels it’s succeeds where many others don’t. There’s a sense of realism, for the most part and I like the modern use of social media and the way filmmakers integrate the media onto the screen for our reading. There’s too much slow motion in the first half and it is mostly taking in Blake Lively’s body which while admittedly is something she should be proud of, made me feel a little uncomfortable in its voyeurism. Put this on if you want a little suspenseful fun. 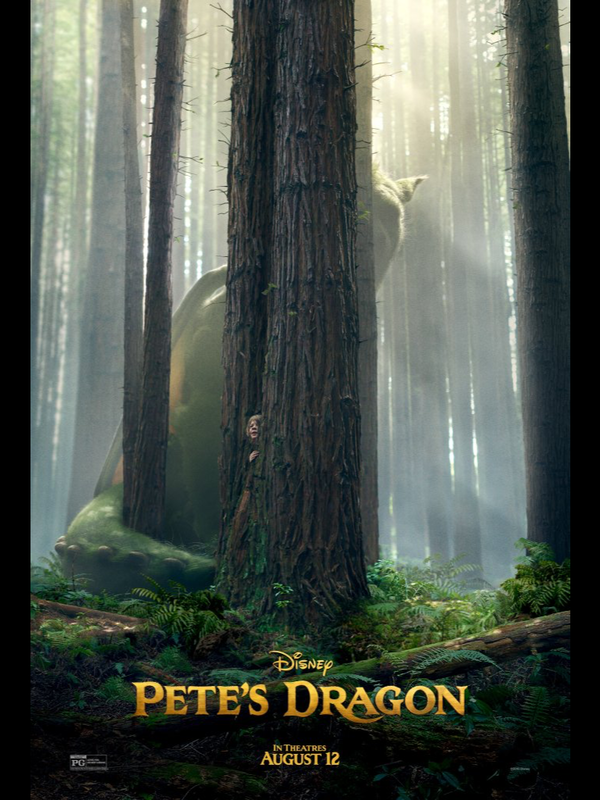 Pete’s Dragon (2016) a film review. Running time: 1 hour 42mins. Cast : Bryce Dallas Howard, Robert Redford, Oakes Fegley, Oona Laurence, Wes Bentley, Karl Urban. Young Pete is orphaned as a 5 year old while on a woodland trip and he is brought up Tarzan style by a dragon. Disney’s live action version update is well cast and I was a little shocked to see Robert Redford acting in this, when it’s already got Bryce Dallas Howard as a woodland ranger called Grace. Grace discovers Pete as he’s been living in the woodland for many years. A child couldn’t have survived so long alone so who helped him? We know it’s a dragon but the adult in me was often questioning the logic how he would have survived even with a dragon, even one who could fly, breathe fire and turn invisible. The dragon is more of a hairy green puppy but that said it’s pretty seamless as it blends into the live action. I was impressed with how I couldn’t notice a jarring join. Oakes Fegley is Pete and he himself handles the role just fine it’s just that he’s written to not know what a balloon is after not having seen one for six years, or Windows for that matter. There were a bunch of moments like that where my logic struggled with the plausibility. But then I only had to look at my sons face as we rooted for Karl Urban not to locate ‘Elliot’ the large furry pal. The way that Pete seems to imprint on Elliot is never fully explained and yet there’s an undeniable bond. Which made it all the more surprising when Pete too easily adopts a human family life for a spell mid movie and seems to have moved on from his winged friend. Naturally the movie has a varnish of schmaltz and family lessons of unity to teach. But it kept me guessing as to the outcome. Would Pete choose returning to humanity or believe Elliot to be his family now? Would he ever get a haircut? What did Elliot eat? There are pulls at the heartstrings and moments of elation which make for a gentle journey for all the family to enjoy. A magical tale for those of us who still know what it is to want to own our own Falkor from THE NEVERENDING STORY. Speaking of similar films, the feral boy motif flys too close to Tarzan and The Jungle Book plus How To Train Your Dragon is still up and running. So it’s not exactly fresh ground. But I preferred this to The BFG. Family values in a family film, Disney playing to their strengths.